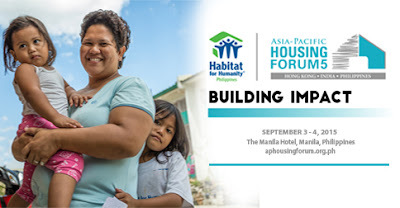 MANILA, PHILIPPINES — The Asia-Pacific Housing Forum 5 (APHF5), organized by Habitat for Humanity (HFH), is a biennial conference that brings together local communities, socio-civic organizations, the private sector and the government in seeking to provide solutions to the problem of housing accessibility. This is the first time APHF5 will be holding a satellite event on September 3-4 at The Manila Hotel. This event is in alignment with the main conference in Hong Kong. 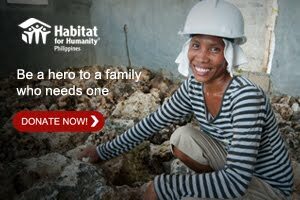 The Philippines’ theme “Building Impact” focuses on advocacy for housing subsidies, putting into action the organization’s mission of bringing people together to build homes and communities. “Now is the time to put our words into action: to focus on real solutions and how they impact our communities. More than discussion, this year is about implementation – how innovation is driving affordable and sustainable housing, how diversity is pushing different ideas into reality, and how decent housing can truly transform our communities. 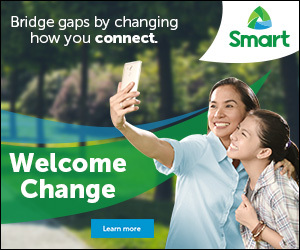 But this transformation is possible only if the key players come together and collaborate with each other,” says Charlie Ayco, Managing Director and CEO of HFH Philippines. The two-day forum will focus on four tracks that expound on this year’s theme: ‘Building Leadership’ capacity for those at the forefront of shelter advocacy; ‘Impacting Communities’ for sustainable housing solutions; ‘Building Markets’ to explore the shelter needs of low-income families; and ‘Impacting Society’ by calling all advocates to work together for a world where everyone has a decent place to live. HFH Philippines’ Charlie Ayco will lead the plenary discussion, joined by esteemed speakers such as Mr. Motoo Konishi, World Bank Country Director for the Philippines; Dr. Winston Padojinog, President of the University of Asia and The Pacific; Quezon City Mayor Herbert Bautista; Rep. Alfredo B. Benitez (3D NegOcc) Chairman of the Committee on Housing and Urban Development, House of Representatives; Cagayan de Oro City Mayor Oscar Moreno; and Jonathan Reckford, CEO of HFH International.